Jacqueline Newman joined Berkman Bottger Newman & Rodd, LLP in 1998 and is now the managing partner of the firm. Ms. Newman’s practice consists of litigation, collaborative law and mediation. She specializes in complex high net worth matrimonial cases and also in negotiating prenuptial agreements. Ms. Newman has taught the Collaborative Family Law class for The NY Association of Collaborative Professionals and the Center for Mediation in Law, as well as the Introduction of Matrimonial Law for Collaborative Divorce Professionals for the New York State Unified Court System. At Fordham University School of Law, she taught Family Law Practice with Barry Berkman. Ms. Newman is also a Lexis Nexis Practice Adviser and has drafted practice guides for matrimonial law. Ms. Newman has appeared as an expert commentator on various television and radio shows and has been quoted as an expert in numerous publications, including Crain’s New York Business, U.S. News and World Report, Business Insider, Time,com, USA Today, Yahoo Parenting, Woman’s Day, Glamour Magazine, the New York Post, Reuters.com, CNBC.com and The Huffington Post. These activities and her reputation for ethical standards and professional ability among her fellow lawyers have earned her the highest rating, AV Preeminent Peer Review Rated by Martindale Hubbell. 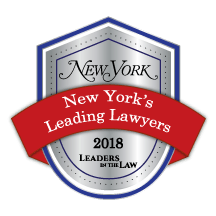 Ms. Newman is also honored to be selected for inclusion in Thompson Reuters New York-Metro Super Lawyers Top 50 Women Attorneys in 2013, 2014, 2015, 2016, and 2017, and was included in the 2016 and 2017 editions of New York City’s Best Lawyers. 02/15/13: Carnations? Again? Why Post-Valentine’s Day is a Popular Time for Divorce, Shine from Yahoo! Should A Couple Consider Getting a Prenup? prenuptial agreement? from ReelLawyers on Vimeo. enforceable? from ReelLawyers on Vimeo. divorce cases? from ReelLawyers on Vimeo. Do you have any interview tips for clients who are meeting with a divorce lawyer they’re thinking of hiring? from ReelLawyers on Vimeo. What is collaborative law? from ReelLawyers on Vimeo. When do you need a prenuptial agreement? from ReelLawyers on Vimeo. What are some of the special challenges you face in handling high net worth divorce cases? from ReelLawyers on Vimeo. What is your background and experience as a lawyer? from ReelLawyers on Vimeo.